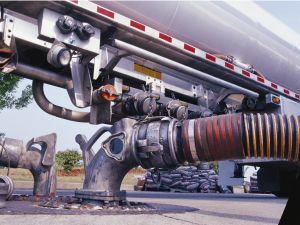 James Cavill Fuels has developed a reputation for reliability, quality and service that has lasted for nearly 4 decades. Whether you need household heating oil, fuels for farm equipment, or fuel for diesel construction equipment, we are able to meet all your needs. We do all we can to ensure that you pay the best possible price for gasoline to power your recreational vehicles, farm equipment and commercial vehicles. The home heating oil industry has made tremendous technological strides in recent years and oil fuel is now recognized as the safest and most dependable home heating method available, as well as being environmentally friendly. Heating oil is more efficient than natural gas, which means you pay less for more heat, and newer oil furnaces last an average of 15 – 20 years longer than a gas furnace. James Cavill Fuels offers an assortment of bulk lubricants and greases for construction, agricultural and industrial applications at a competitive price, delivered directly to your door or worksite. Please contact us to discuss your needs or to schedule service. At James Cavill Fuels, we do all we can to provide you with the highest quality gasoline and diesel fuels at the most competitive prices.